Osmosis Skin Care has the perfect products for Pre Teens. The age when they are still young and their skin is not ready for the stronger products for teenagers and young adults. Have them use Purify and Clear 2 times per day. Purify is an exfoliating Cleanser that is gentle on the skin and helps clean the face. It removes dirt, and environmental toxins. Clear is a frequency water that is the newest technology. You spritz it on the face in the morning and evening after washing with Purify. Clear is anti-bacterial, very healing and will also hydrate the skin. To purchase these products, please go to my website http://www.karinherzog-jmilan.com and click on Osmosis Skin Care. 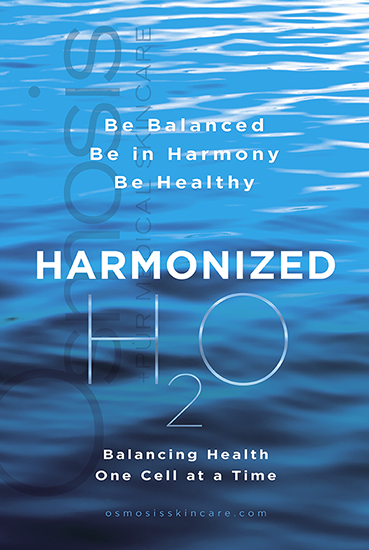 Osmosis Pur Medical Skincare has come out with a whole line of frequency water called harmonized water. There are years of scientific studies behind the water. There are no ingredients in the water, there are no drugs involved. It is all natural. It is all based on frequencies that are in tune with your body. There are many waters, depending on your needs. Here is a list of the waters available. Now two wonderful kits are available for anti-aging with Osmosis. One is for normal skin which contains the product Correct. The other is a kit for sensitive skin which contains Mend. Purify, Clear, Replenish, Quench and either Mend or Correct. All you need for beautiful skin. Clear is a frequency water the calms the skin and gives it the perfect pH. Purify is an exfoliating cleanser that cleans the face and helps get rid of the dead skin cells. Replenish is an antioxidant full of wonderful nutrition for the skin. Quench is their double hyaluronic acid serum suitable for all skin types. Mend and Correct are both treatment serums that help restore and remodel the skin. Results you will not believe. Have you had to deal with Rosacea your whole life and nothing has helped. You need to try Osmosis Skin Care. There is a 5 piece kit that comes with every product you need. Also you may purchase one piece at a time. I will be happy to guide you as your skin progresses and you want to add products. You will want to start with Mend. The is an introductory product for rosacea . Perfect for sensitive skin. Some people have such great results with Mend, they want to continue with it. After Mend, you may move up to Calm. Calm is twice as strong, but does wonders for the skin. More clarity, less redness, no more rosacea breakouts. I also suggest you start with Clear. This is a frequency water that calms the skin and brings it into balance. You will see a big difference with these 2 products. If you want to add a cleanser, Cleanse is the perfect choice. For more information, please go to my website http://www.karinherzog-jmilan.com also email me at jmilanent@gmail.com if you have questions. Osmosis Skin Care has Harmonized Water for so many issues we have with our internal system. Harmonized Water are frequency water. There are no ingredients, just the perfect frequency for you various needs. You just need a few drops per day. Below are suggestions for the various waters. Clear Skin Effective for acne, bacterial, fungal and viral infections, In some cases rosacea. Environmental Protection, Effective for 70% of users to causes weight loss by elimination toxins. Average loss is 5-10 lbs over 4 weeks. Helpful with allergies. Women’s Hair and Nails, Reduces hair loss, strengthens nails. There are more waters, but these are the basics. I have had excellent feedback on the water from my clients. Osmosis Skin Care has a wonderful product called Clear. Clear is an energized water that is based on frequency. There are no ingredients, just water that is perfect for your skin. Use it after cleansing to feel balance with the proper pH. For acne, it has a calming, healing effect. For anti-aging, it is perfect. Rosacea, very calming and healing also. You will find more needs that Clear is the perfect answer for. Comes in 2 sizes for your convenience. The products will normalize oil, keep bacteria under control, improves wound healing, increases growth factors,l while assisting in scar tissue remodeling.